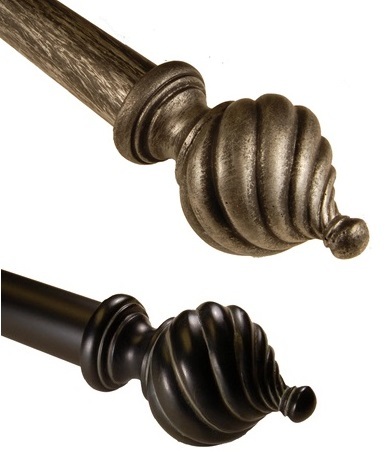 This Twisted Spiral Curtain Rod Set is sure to be a favorite in your house. The timeless design will add modern sensibility to any room! This adjustable tapestry rod extends to accommodate a range of window sizes and window treatment options. The curtain rod comes complete, including, 2 finials, brackets, mounting hardware and installation instructions. Available in Antique Silver and Matte Black in 3 sizes.